After the untimely death of her mother, fourteen-year-old Sarah Crane is forced to grow up quickly in order to help tend her family's Vermont farm and look after her grieving father, who's drowning his sorrow in alcohol. But their quiet life together is shattered when her father is jailed for killing another man in a barroom brawl and injuring Sarah in a drunken car crash. Left in the cold care of a loveless foster family and alienated at school, Sarah finds a kindred spirit in classmate Nick Dunnigan, a former mental patient still plagued by voices and visions. And in eccentric art instructor Bettina Phillips, Sarah finds a mentor eager to nurture her talent for painting. But within the walls of Bettina's ancestral home, the mansion called Shutters, Sarah finds something altogether different and disturbing. Monstrous images from the house's dark history seem to flow unbidden from Sarah's paintbrush--images echoed by Nick's chilling hallucinations. Trapped for ages in the shadowy rooms of Shutters, the violence and fury of long-dead generations have finally found a gate way from the grave into the world of the living. And Sarah and Nick have found a power they never had: to take control, and take revenge. MY THOUGHTS: This is a great book. It will grab you from the first chapter, you won't be able to put it down. I got the book on Saturday and finished it this morning. Following Sarah through her accident, therapy, and placement into foster care was like seeing first hand the system through which children go through. The foster family Sarah is put into is just in it for the money and soon Sarah is the cook and house cleaner. As Sarah starts school she is soon shunned because of her injury because she walks with a limp from her broken hip. Then Sarah meets Nick and her Art Teacher. Things start happening that can't be explained logically. The Art Teacher is reputed to be a witch by all the town folk. Nick is deemed crazy. Then Sarah is called evil. When all three of them come together at the house, Shutters, things begin to fall into place and soon the drawings and visions make sense. 52 Books in 52 Weeks is over for the year. This is my 52nd book. This is my wrap up of that challenge. 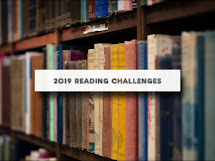 I did read 52 books for this challenge. My 52nd book was House of Reckoning by John Saul. Here is my list of books. I did read some books that I don't usually read and I also read some books by new authors to me. Which one was my favorite? I can't really narrow it down to one. There are several that I really enjoyed reading. You can see the reviews on all my books here. Great Job, Sherrie. You read a lot interesting books, many that are now on my wish list for reading in 2010. Looking forward to hearing about what you read next year.